Tweet of the Day, This Audi Avengers: Endgame Commercial Is, Ah, Marvelous edition. No, I will never be forgiven for this. But it’s worth it. Somebody earned their corn on this one. 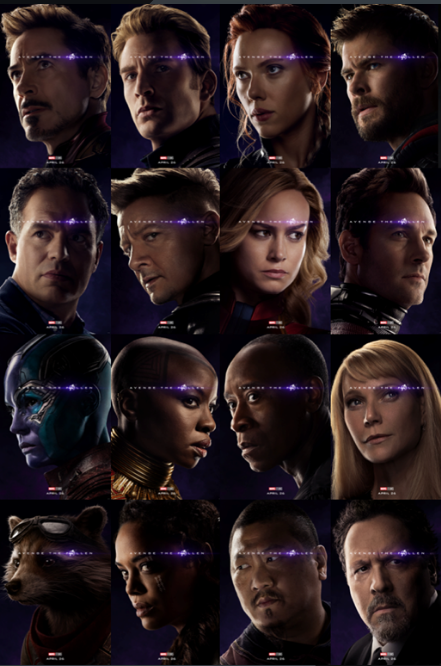 The final Avengers: Endgame trailer. I’ve had a good time on this ride. I gotta say. I’ve gotten my money’s worth. Avengers Endgame clip: BAD LANGUAGE WORD, Steve. Quote of the Day, This Is Peak Tom Holland edition. “I remember for Avengers, the Russo Brothers are like ‘so you’re just standing here, and you’re fighting this guy and just do whatever,’ and I’m like, ‘okay, who am I fighting? More seriously: The Avengers: Endgame trailer with a bunch o’new footage. I think that it’s almost all new footage, actually. So. Rescue appearing in Avengers: Endgame? Tweet of the Day, And So It Begins edition. PS: The Deadpool movies brought in almost 800 million apiece worldwide, off of 58 million and 110 million dollar production budgets. The Mouse can do math. Florence Pugh joins Black Widow movie. I dunno, I haven’t seen her on the big screen yet. Rising actress Florence Pugh is in talks to star opposite Scarlett Johansson in Black Widow, Marvel’s stand-alone feature on the Avengers heroine. Cate Shortland, the Australian filmmaker perhaps best known for the Nazi drama Lore, is directing the project, which is scheduled to shoot in June in London. Self-aggrandizing Tweet of the Day, Dammit I’m Right edition. They were riffing on what the next Thor movie title should be. There is only one possible choice, honestly. At least, I think so. Tell me you wouldn't watch that. TELL me.